The fashion industry is – after the energy sector – the most polluting industry and is responsible for approximately 10% of CO2-emissions. On top of this, the production of clothing for one household costs a thousand bathtubs of water and the working conditions in low-wage countries are abominable. Preservation, good working conditions, recycling, reuse, and upcycling are therefore trends in the fashion industry. Aside from these trends, material innovation of work clothes and sport items is growing through the application of smart materials, adding properties such as anti-transparency, medication, anti-radiation, odourless, self-cleaning, fireproof, or shape memory. E-textiles are getting better because the development takes place within the fibres. 3D printing is taking off for making accessories, shoes and even complete outfits. Coatings and prints are not only aesthetic but also functional, adding waterproofness, fire-proofness, or even the ability to generate energy, changing colour or texture, the use of communication, or adapting insulation. The speaker programme ‘The Future of Fashion & Workwear’ was put together in collaboration with Marina Toeters (design and research for by-wire.net). This takes place on Wednesday afternoon 14 March in the Material Xperience theatre. Speakers are Marina Toeters, Ellen Mensink (Loopalive) and Jef Montes, among others. 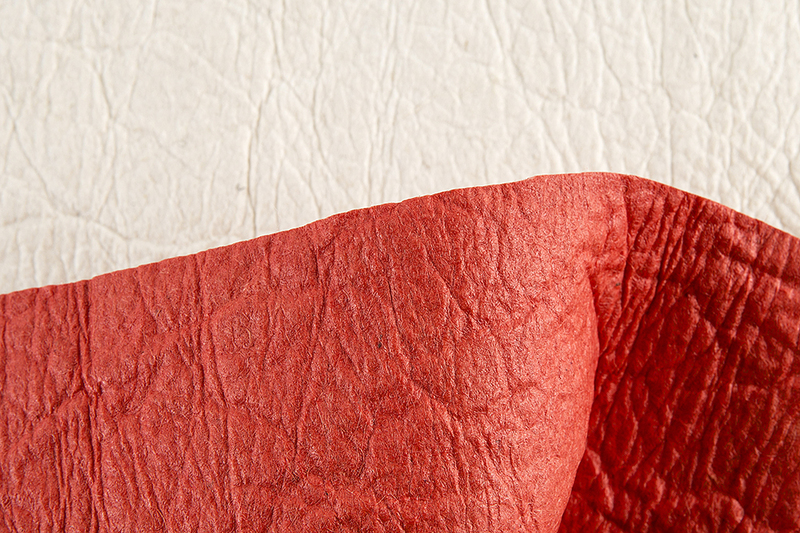 Piñatex is a natural textile made from pineapple leaf fibre. The leaves are a byproduct of the pineapple harvest, so no extra land, water, fertiliser or pesticides are required to produce the raw material. The pineapple leaves are gathered, decorticated to remove the fibre and processed into a nonwoven textile that is an alternative to leather. 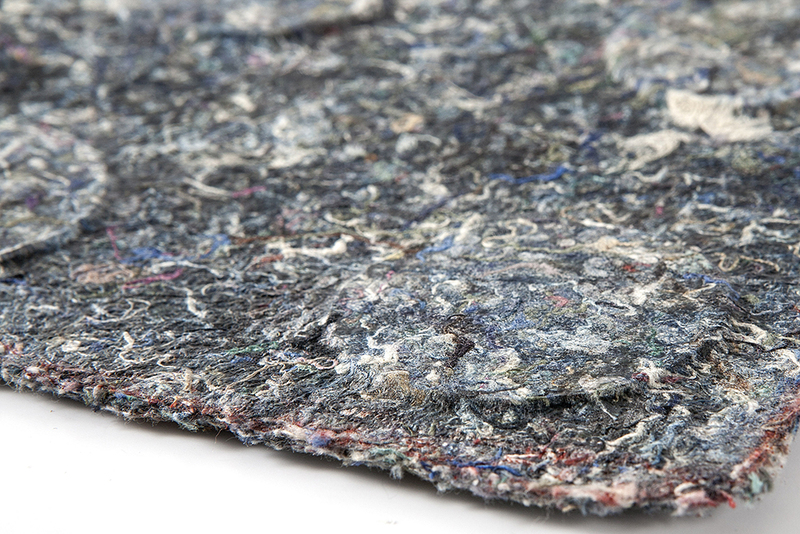 The Recurf project by Amsterdam University of Applied Sciences focuses on processing new material combinations made from bio-based plastics and textile waste into attractive products for interior and exterior use. 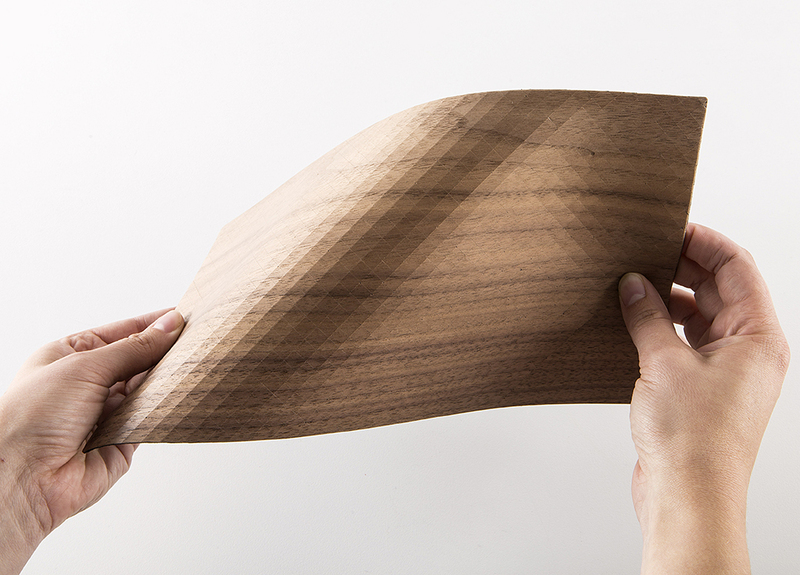 This wood textile consists of a combination of wood veneer and textile. Owing to the geometric surface finishing of the wood, it becomes flexible – more or less so depending on the size of the shapes. These prints, developed by Anouk van de Sande, have an extra dimension. While they look futuristic and digital, they are in fact analog, consisting of various layers of stretching and transparent fabrics. The prints create an optical illusion by following the movements of the body. The effects are almost theatrical and can even make you dizzy. Designer and researcher Kristi Kuusk designs sustainable smart textiles. These textiles have integrated functions that respond to, for instance, touch. By integrating sensors, the articles of clothing can give the wearer a massage or light up. 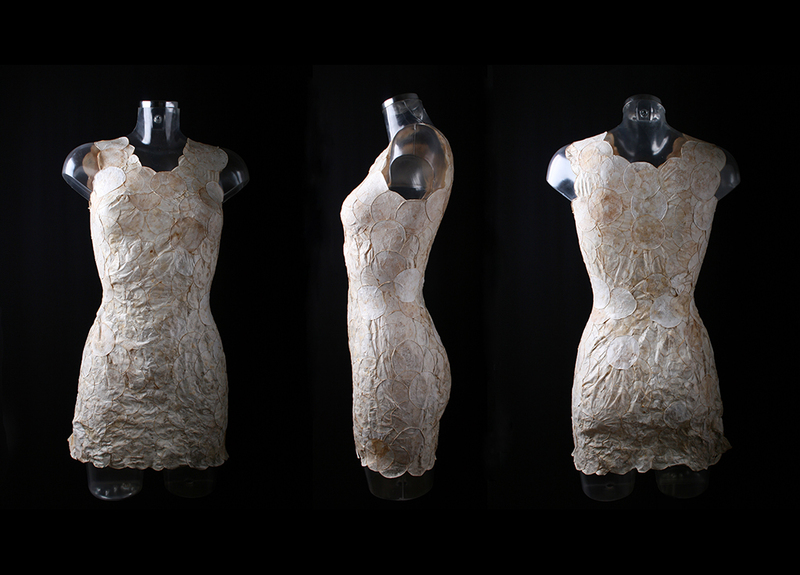 MycoTEX is fabric made from mycelium, i.e. the roots of mushrooms. This material is incredibly versatile but has previously only been used for solid materials. Textile designer Aniela Hoitink created a flexible version that makes steps such as weaving and sewing obsolete.